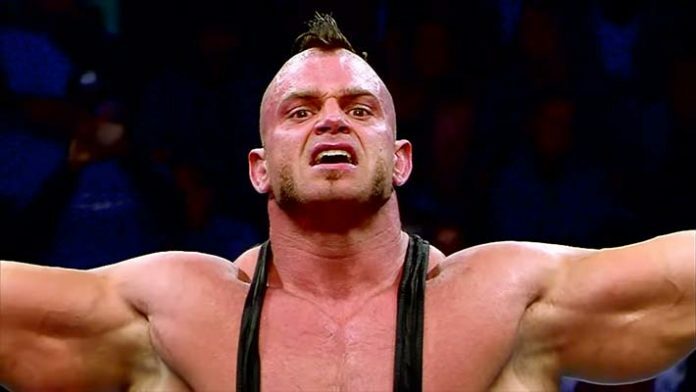 Brian Cage recently sent out a challenge to anyone from Bullet Club to meet him on Chris Jericho’s Rock N Rager at Sea. Several inter-promotional matches between ROH and Impact Wrestling are expected to take place throughout the cruise. The current X-Division Champion recently appeared on “Killin the Town” with Don Callis and spoke about facing members from the faction. Cage would then continue to be complimentary of the Young Bucks and other BC members, however. Jericho’s cruise runs from October 27th to 31st and will sail from Miami to the Bahamas. Already booked for the tour is an ROH single-elimination tournament with the winner receiving a shot at the world title. Jericho will team with the Young Bucks to take on Marty Scurll, Cody, and Hangman Page on the cruise as well. Additionally, the Young Bucks will face LAX in an inter-promotional match scheduled after Konnan sent out a challenge on his podcast.